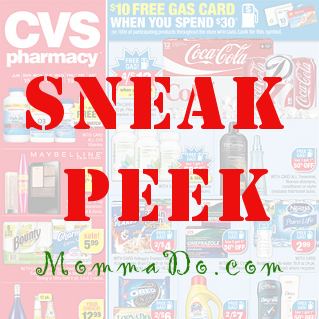 Check here for the sneak peeks into upcoming ads. You’ll have plenty of time to get your coupons ready and get the best deals on Sunday when the ads start. Colgate Rinse possibly for free! You’ll need (2) $2/1 Colgate Mouthwash or Mouth Rinse, exp. 8/22/15 (SS 07/26/15) [480-ml.+] . Sizes aren’t listed so you can get these free if the 480 ml is included. You’ll need (2) $2/1 L’Oreal Advanced Hairstyle Product, exp. 8/29/15 (RP 08/02/15) [Excludes 1.7-oz. trial size; Limit 4] OR $2/1 L’Oreal Advanced Haircare item in 8/16 inserts.